Recently one of my favorite television shows, Bones, premiered its 10th season, this made me realize exactly how long this show has been around. It also made me question however, how has it maintained enough of a following to keep it running all these years? Because it has been around all this time though I wondered, do people who aren’t familiar with Bones feel alienated and overwhelmed by a show with ten seasons? After all that is a lot to catch up on. 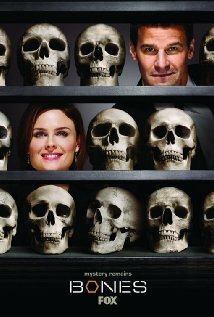 Bones premiered on September 3rd 2005 on Fox, which makes it just over 9 years old. It is now on its 10th season, an accomplishment for any television show, and is still running strong. The show stars Emily Deschanel as Temperance Brennan, a world famous forensic anthropologist, and David Boreanaz as special agent Seeley Booth. Combining the brilliance of world class scientists with the thrill of an action packed crime drama, this show has found the perfect formula to blow all other crime dramas away. This is because this show brings together an unlikely group of people including a group of eclectic scientists, an ex-military FBI agent and an FBI psychologist, all of whom had never combined their talents before; but working together they become and unstoppable team. As long as you don’t mind a little bit of the gross out factor, which is inevitably present in a show that uses human remains to find most of their evidence, you should definitely give this show a try. It is addictive, with an unlikely sense of humor and a unique new way of solving crimes, this show drags you in and keeps you coming back for more.